Featuring all the colors of the rainbow! Why settle for boring old jeans when you can have fun in color? As demonstrated by these style stars, you can go out in colored jeans without sticking out like a sore thumb. Maine Mendoza wears a suit in the same red shade, with her top in a polka dot print to keep her look interesting. She styles her suit with neutral hues to avoid a clash of colors. Maris Racal greets the summer in wide-legged orange trousers and a tropical-print top in a base color that matches her pants. Tie your look together by keeping your outfit in the same color family! 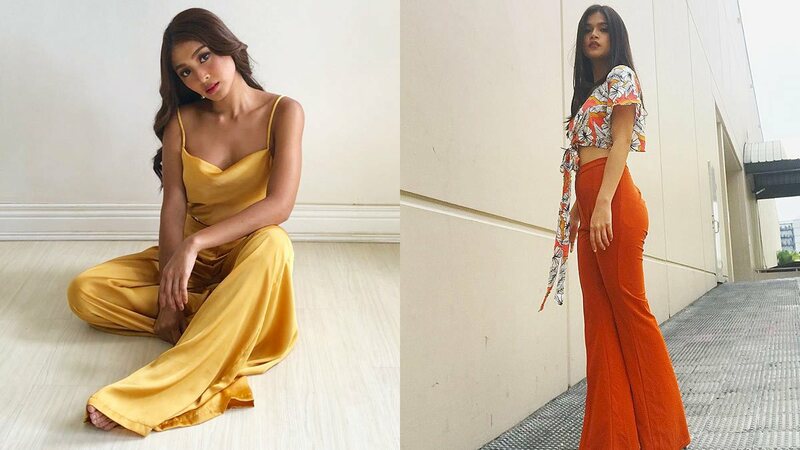 The popular Gen-Z yellow is such a statement in itself that Nadine Lustre need not wear any other color. Glaiza de Castro gives her moss green, velvet pants an ultra-chic appeal, by wearing her pair with nothing but fresh whites. A style tip from Gabbi Garcia: Go big or go home. So, if you’re wearing such a stand-out hue as cobalt blue, all the better to pair it with just-as-shocking colors. Liza Soberano makes a dark color stand out by opting for a white and indigo printed co-ords. Choosing the lighter of the violet spectrum, Bea Alonzo’s pastel color choice is a breath of fresh her to her suiting style. Follow Patti on Instagram and check out her blog at TitaPacita.com.